This solar newsletter was originally published on January 12, 2018. The Michigan Public Service Commission (MPSC) released its Net Metering and Solar Program Report last month, which found a rise in solar projects in 2016, and projected a further rise in 2017. However, pending state and federal policy and regulations could hamper growth in 2018. There is still plenty of room for growth under the current legislatively set caps, based on the 2016 data. Of Michigan’s two largest electric utilities, Consumers Energy has 33MW of space left or 90% and DTE Energy has 471 MW or 82% left. According to the report, the total number of residential, commercial and industrial customers participating in Michigan’s net metering program grew from 2,155 to 2,582, and the total capacity of net metering installations grew 28% in 2016. The report further projected that, by the end of 2017, the total amount of solar installed in Michigan would reach 120,530 KW, more than double the nearly 58,000 KW in 2016 and 36,000 KW in 2015. The UPPCO utility in the Upper Peninsula continues to be the only jurisdiction where the net metering cap – set in statute – has been hit. The December 2016 energy legislation transitions Michigan from the existing Net Metering structure to a new Distributed Generation (DG) tariff. The DG tariff design is under discussion at an MPSC staff stakeholder workgroup and will then be adopted in some form by the MPSC and included in future rate cases. Net Metering customers signed up into the program prior to the new tariff being adopted will be grandfathered in for 10 years. The Michigan Public Service Commission staff issued a draft report on the proposed distributed generation tariff and asked for comments by Jan. 10. Michigan EIBC filed comments after review by membership. The transition from a simple and well-understood structure like net metering to the distributed generation tariff will likely have a large impact on the solar deployments in Michigan in 2018. Future solar growth depends on how high the Commission sets the tariff and whether utilities and customers are compensated fairly. 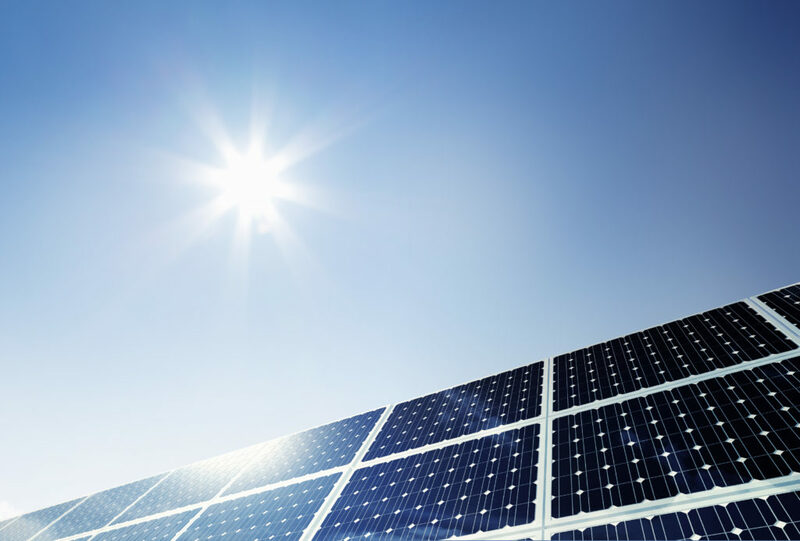 The Institute for Energy Innovation and the Michigan Energy Innovation Business Council are hosting a Solar 101 Lunch & Learn for Michigan state legislators, legislative staff, and Michigan EIBC member companies on February 6. Please note that this event was originally scheduled for January 25. Contact mieibc@mieibc.org for questions, and register here. The Michigan Energy Office will host a “Powering Michigan Agriculture” webinar series, and the first farm to be showcased, on January 25, is Black Star Farms in Suttons Bay, MI. Solar array at Black Star Farms. Black Star Farms is a winery with an on-site luxury inn, event spaces, a farm-to-table cafe, a distillery, and an equestrian facility. Black Star Farms is being recognized for its 52 kW solar project, which was designed to offset 90% of the annual energy usage for the nearby wine tasting room. The webinar will highlight topics including the farm’s net metering arrangement, the impact on farm profitability from the renewable energy and energy efficiency projects, and their experience in conducting an energy audit. According to Solar Power World, Michigan is rising leader in solar power. Michigan created more than 5,600 new clean energy jobs in 2016 and ranks third out of 11 Midwest states for clean energy employment with more than 92,000 people working in solar and wind combined. The state’s clean energy jobs are growing three times the rate of other job sectors. More Oakland County, MI, residents are producing their own electricity than in previous years, and most of it is from solar. As the Michigan Public Service Commission reworks net metering, state advocates worry about the outcome. Troy Bracke of Michigan EIBC member company Michigan Solar Solutions wrote a guest column calling on readers to “Support grass roots effort to save solar in Michigan” by urging the Michigan Public Service Commission to maintain net metering rates. Bracke says efforts to reduce net metering rates starting in 2019 would remove the incentive for homeowners to install solar panels. 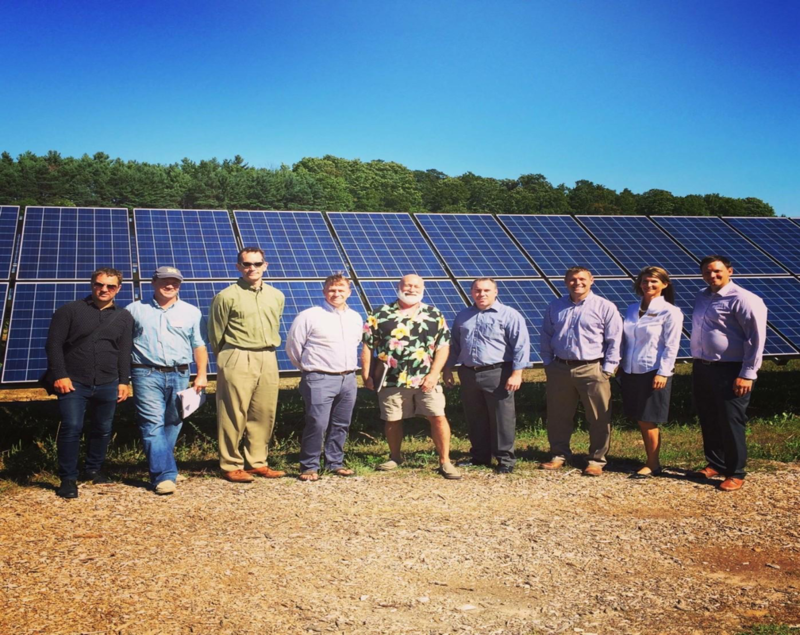 A new solar farm in Coldwater, MI, is now operating. Alterra Power and Michigan EIBC member company Inovateus completed an 11 MW solar project at Michigan State University. In 2017, businesses across the spectrum took the lead on renewable energy. Solar industry expert Barry Cinnamon lends his insights on what can be expected for rooftop solar and storage in 2018. SunEdison emerged from Chapter 11 bankruptcy and is now a smaller, privately held firm. Tesla has started production of solar roof panels at its factory in Buffalo, New York, and orders are already coming in. A new analysis looks at the United States’ solar operations and maintenance market at the regional level. Despite a decrease in solar prices nationwide, renewable portfolio standard (RPS) laws still play a vital role for many states to adopt renewables. The Energy Department rewarded eight projects a total of $12 million for improving grid operators’ ability to predict solar power production. A new report from the International Trade Commission could make it harder for the World Trade Organization to challenge potential solar tariffs. The new federal tax plan could actually help incentivize commercial solar installations by reducing the corporate tax rate and expanding depreciation allowances.